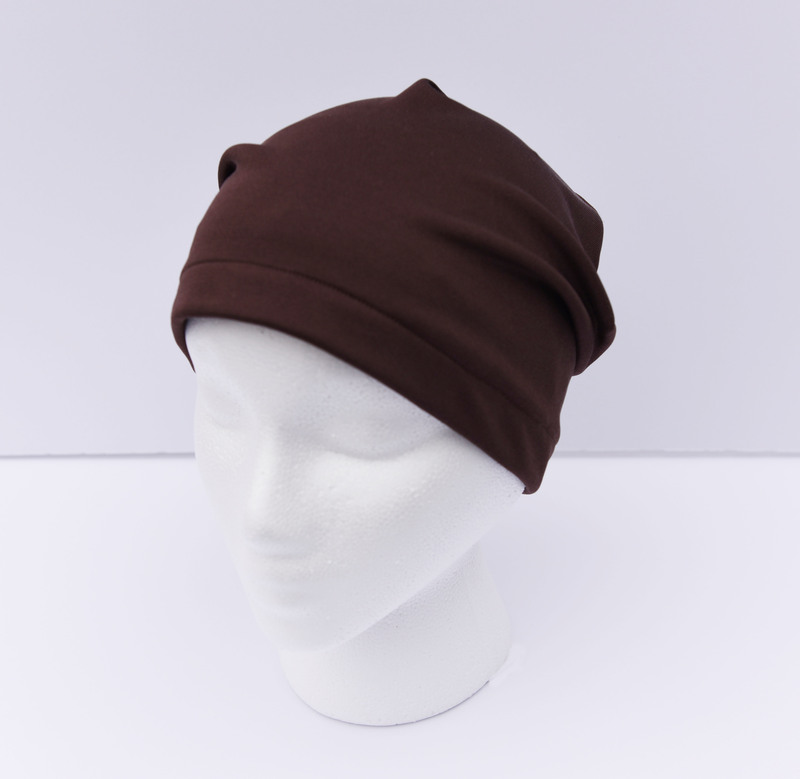 Soft and comfortable 100% silk jersey knit beanie with with soft encased. Wear your Silk Beanie to tame short hair styles, to protect your hair under moisture-robbing wooly hat or to keep your hair down and neat while you sleep. Can also be worn under a wig. When selecting size consider your hair stye and how snug you want your beanie to fit. Tip: To measure your head for a hat, use a soft tape measure (or a string). Place the tape measure (or string) around your head slightly above the eyebrows and ears, approximately the width of a finger. Take note the measurement and repeat to ensure a correct measurement (measure the string against a tape measure or ruler). Remember to consider the thickness of your hair style!